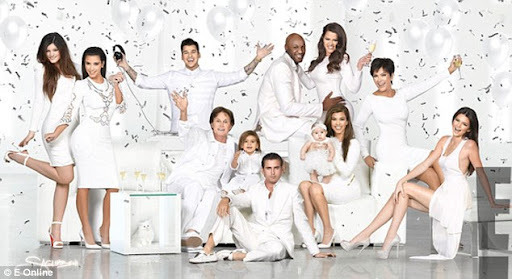 Kim Kardashian has unveiled the all white 2012 family Christmas Card online and the brunette beauty accompained the snap with this caption; "Here it is!! Our 2012 Family Christmas Card shot by the amazing Nick Saylinbeni! 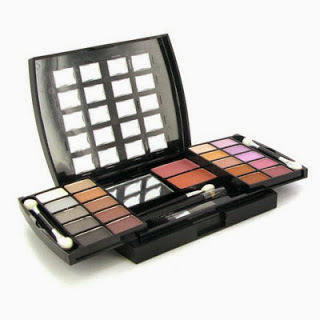 We had so much fun shooting this." The Kardashian-Jenner family posed together for their 2012 snap. Clockwise from left: Kylie, Kim, Rob, Lamar, Khloe, Kris, Kendall, Kourtney with Penelope, Scott, Mason and Bruce. However this year's snap included two new members - Kourtney's Daughter Penelope and Kim's tagic kitten, Mercy. 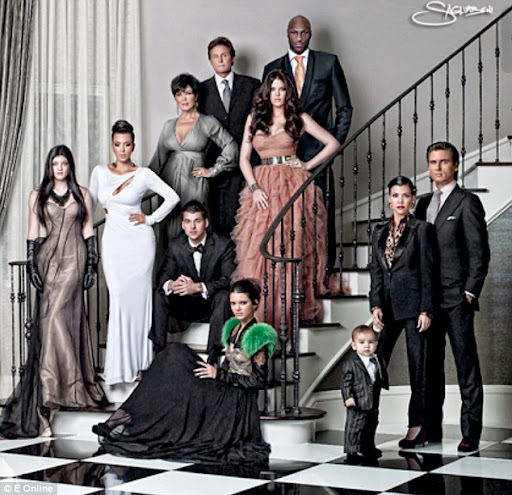 In 2011 the family all wore black expect Kris who managed to stand out in a Jewel Green dress. But in 2010 the family went for an old School Hollywood glamour.